Christmas may be over, but it's still winter and that means plenty of frost and ice to go around. So, we've taken cues from the season and created a lovely, glacial inspiration board for this week. 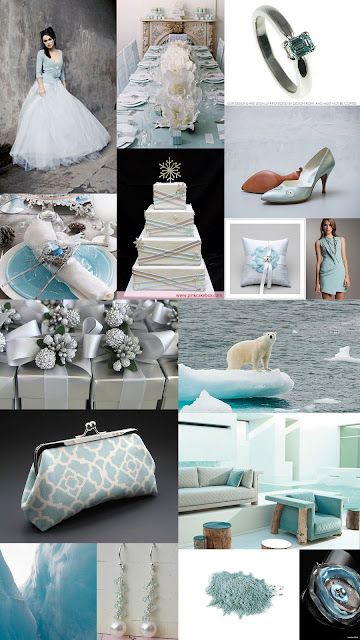 Go the way of the polar bear and dive into glacier (ice) blue, white, and silver (platinum) for chilling colors that help bring the look of the arctic to any space or event.